Tofu can be so versatile and delicious when it’s prepared the right way. These 25 amazing tofu recipes proves that food can taste just as good without meat! I have a weakness for all things tofu. 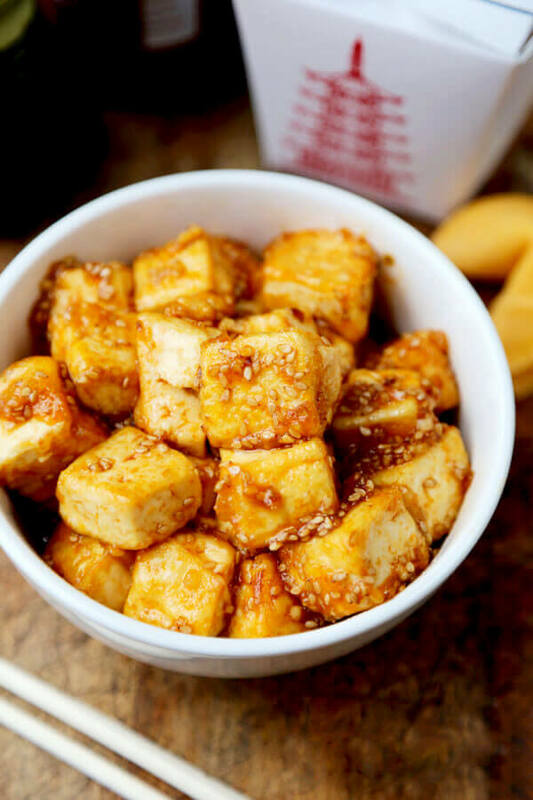 I grew up eating bean curd in all shapes and forms and can tell you that some of the best tofu recipes can leave you craving for more. 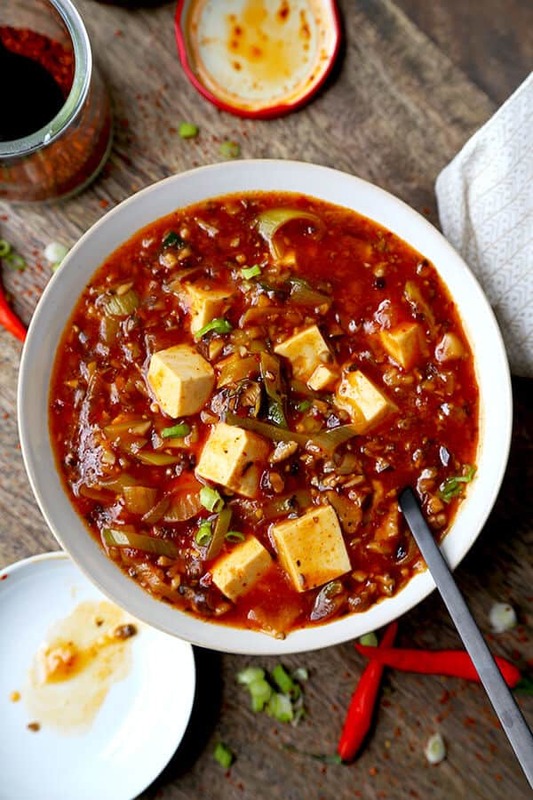 Take mapo tofu for example; a famous Chinese tofu dish consisting of soft tofu cubes tossed in a gooey, fiery, nutty and savory sauce. It’s one of the best things I’ve ever tasted! It’s so good, I pour it over rice so I can maximize the use of the sauce. 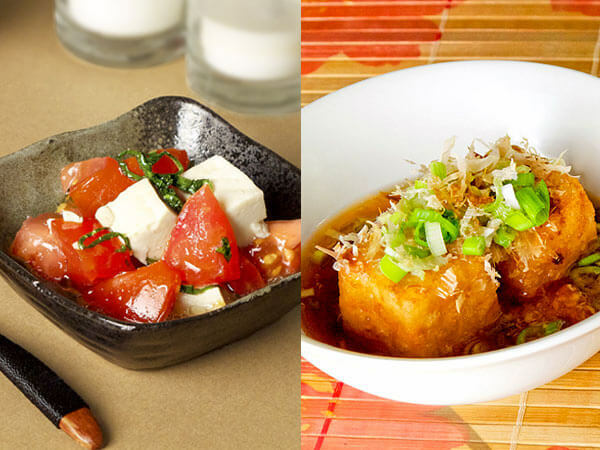 There are so many different ways to cook tofu and so many different types of tofu that cooking with it is never boring. 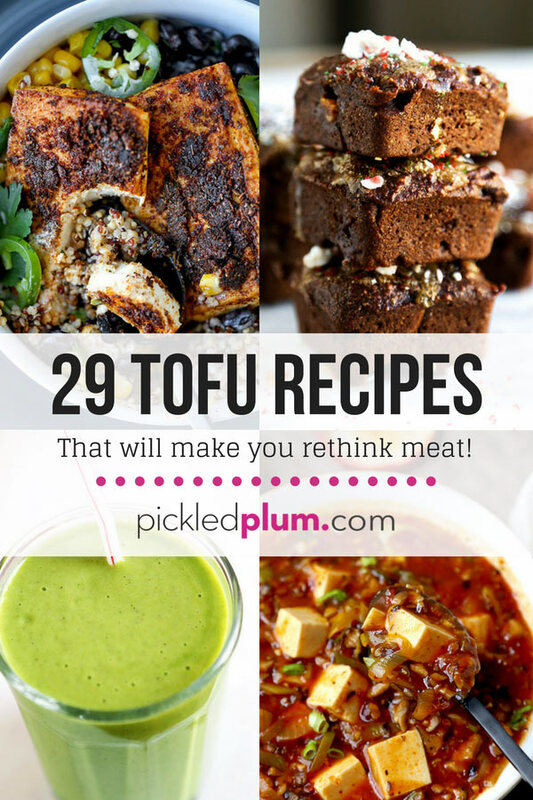 I’ve chosen 29 of my favorite tofu preparations for this roundup. But before we get to the recipes, here is some information about tofu and how to cook with tofu. 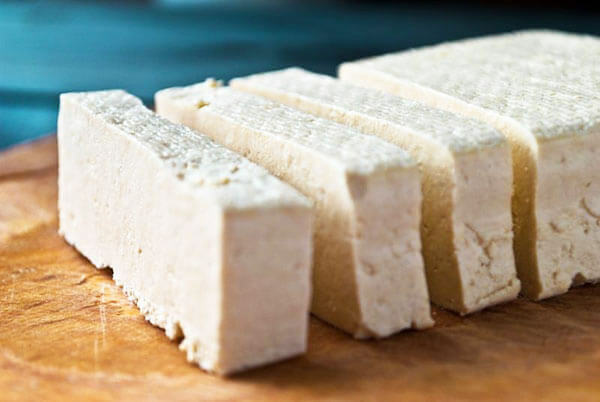 Silken tofu is the softest type of tofu. Some are so soft they crumble as soon as they make contact with chopsticks. It’s by far my favorite type because of the texture and subtle sweet and nutty flavor. Because the texture is so delicate, silken tofu is best in soups and smoothies. It’s also good to eat on its own with a little drizzle of soy sauce and freshly grated daikon. Medium tofu is still fairly soft but firm enough that you can hold the cubes in your hand without breaking them. 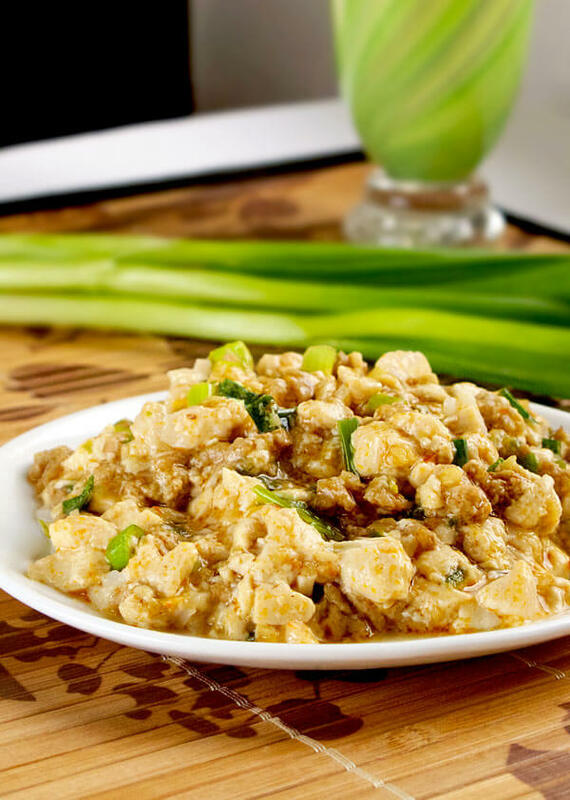 Medium tofu is good crumbled/scrambled, in stir fries and in saucy dishes like mapo tofu. It’s also perfect to marinate and makes a yummy salad topping. Extra firm tofu is much less watery because the curds are very condensed. It holds its shape very well and can be sliced, crumbled, cubed, you name it. Extra firm tofu is excellent in stir fries, baked, and grilled. On its own, tofu can be pretty bland which is why it has a reputation for being a boring food. 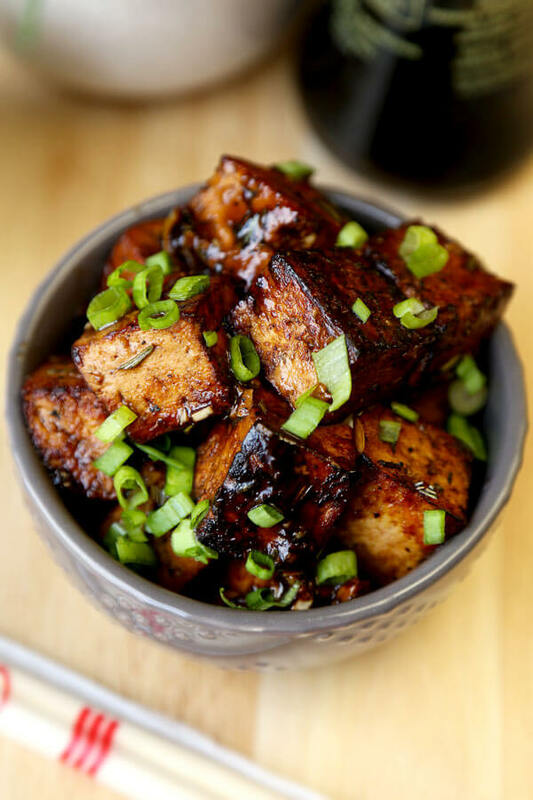 However it is a great vehicle for flavor – just like potatoes and rice, tofu absorbs flavor really nicely and can even get beautifully crispy. Are all tofu created equal? Sadly no and that’s why there is a huge debate on the health benefits of tofu. When tofu is genetically modified or preserved in formaldehyde (as they found in Indonesia), it can lead to dementia and health problems. Say NO to processed soy. That includes soy protein isolate and concentrates, genetically engineered soy foods (typically made from Monsanto’s Roundup soybeans), soy supplements, and soy junk foods like soy cheese, soy ice cream, soy oil, and soy burgers. They don’t have the thousands of years of traditional use that whole soy foods do, are processed, and contain unhealthy fats and other compounds. Look for NON GMO products such as House Foods or Nasoya. 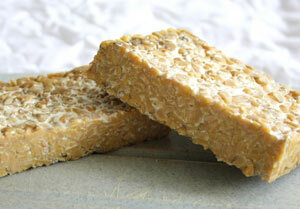 Tempeh is made by fermenting cooked soybeans with a mold. It originated in Indonesia. It’s less processed than tofu and healthier in general because it’s higher in protein and fiber. Its consistency is firm and chewy and usually comes in the form of patties and flat rectangular pieces. 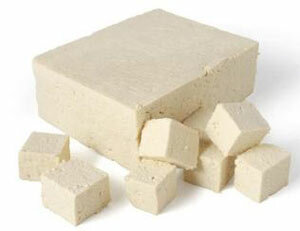 Tofu is also made from soybeans but is made by curdling soya milk with a coagulant and pressed into soft white blocks. It most likely originated in China. Its consistency is soft and spongy and is usually sold in blocks. Seitan isn’t made from soy. 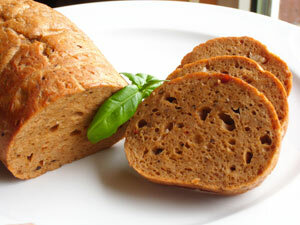 It’s made from wheat which has gluten and has a similar texture to meat. It’s also high in protein and most likely originated in Japan. Open and drain the water from the tofu package. 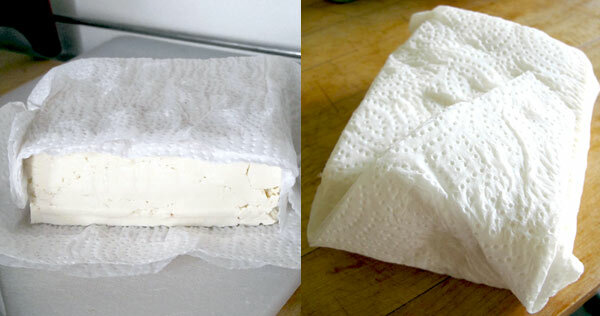 Take the tofu block out (it’s easier to turn the package upside down to prevent the block from breaking) and wrap it in paper towel or a dish towel. 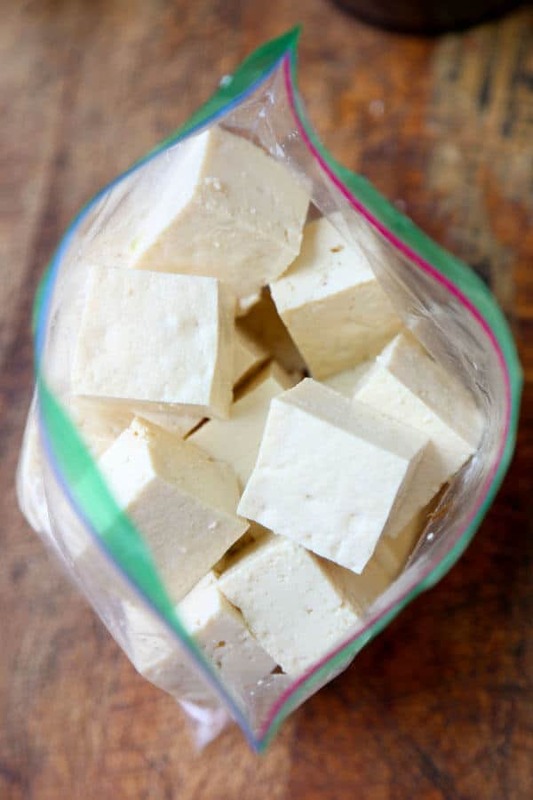 Tofu has a very high water content so it’s important to repeat this step a few times before adding it to recipes so you don’t end up with a small puddle of water at the bottom of your dish. OR you can buy a tofu press (like this one by TofuXpress) to effectively remove the water. You can cut firm tofu on a chopping board but I recommend using your palm for slicing (carefully of course!) silken or medium firm tofu. First, slice tofu across horizontally in half and then widthwise in four to six strips. finally, cut cubes in the size you like. Tofu can be marinated, eaten cold, stir fried, deep fried, sauteed, baked and steamed. The options are endless! These easy recipes use the softest type of tofu to bring creaminess to a dish and a melt-in-your-mouth effect. 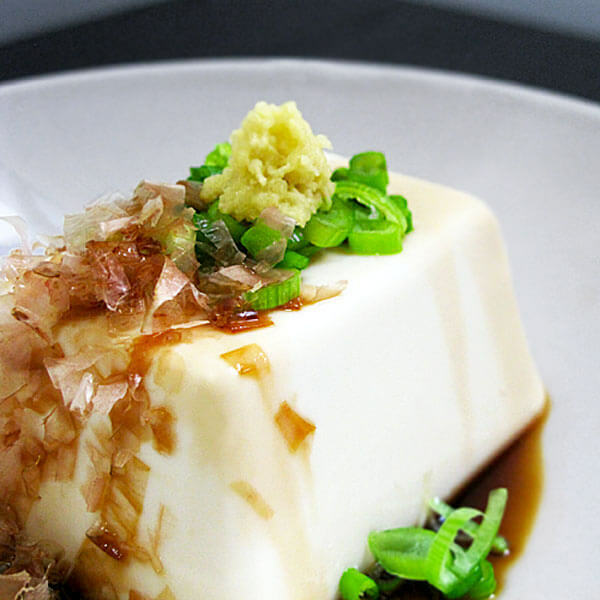 Silken tofu is my favorite type because of its delicate texture – it’s absolutely lovely! 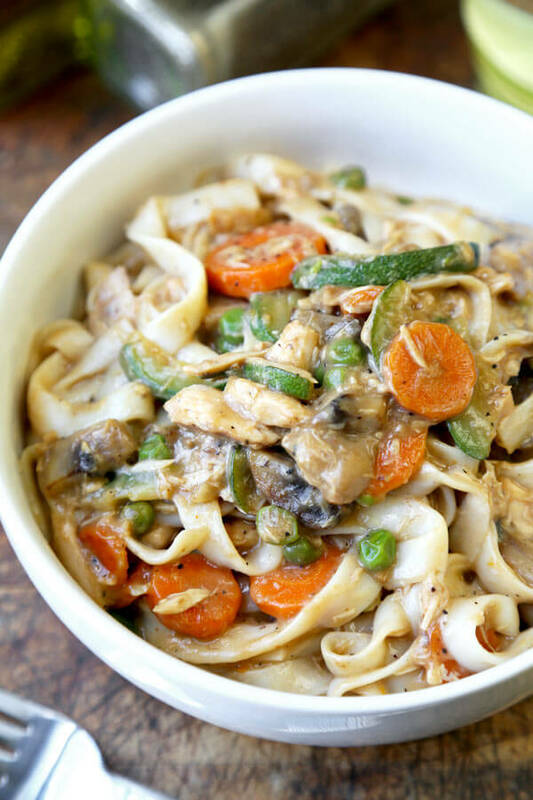 No need for meat here as the mushroom substitute makes up for it in ways you won’t believe! I make this recipe all the time and it never disappoints. 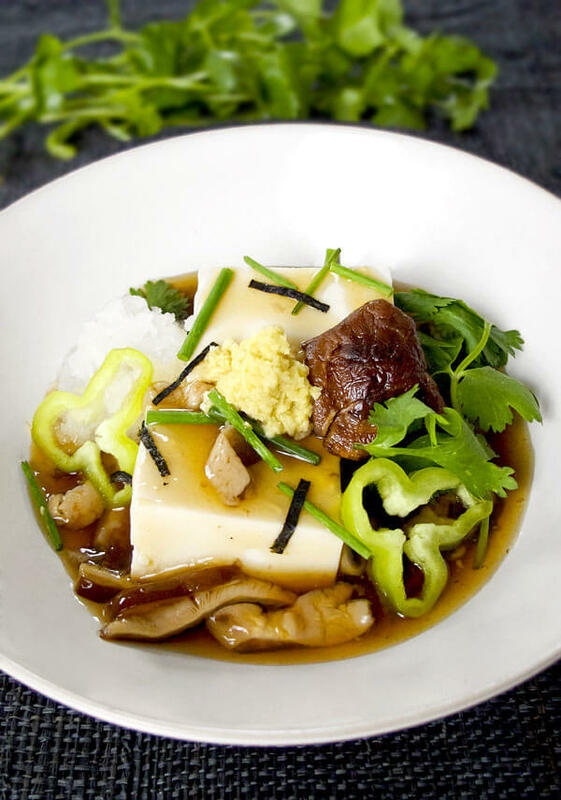 The flavors are so deep and rich, plus, the mushrooms double up the umami level and make this mapo tofu addictive. You can still make creamy dressing without using dairy products. 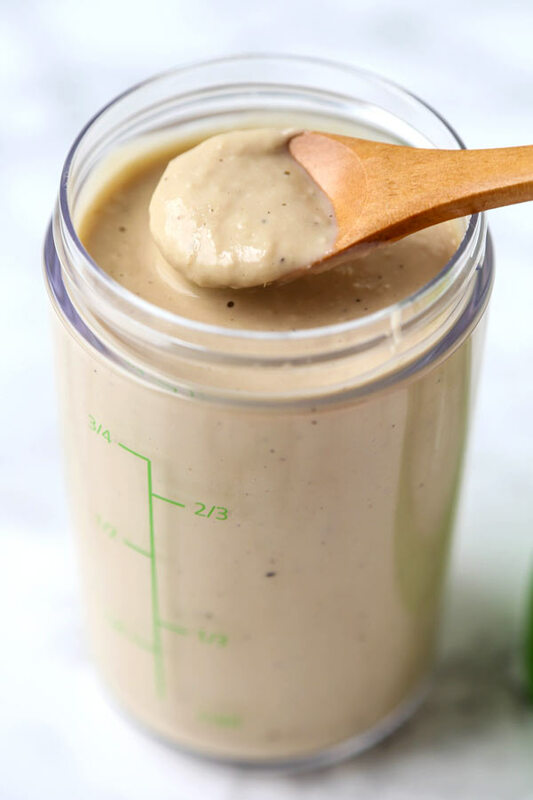 Substituting mayo or cream for tofu makes this tofu ginger dressing vegan and low in fat. It’s tangy and sweet, just like a traditional Japanese dressing. It pairs well with greens and noodles and you can also serve it as a dipping sauce. My go to breakfast when my skin needs moisture. 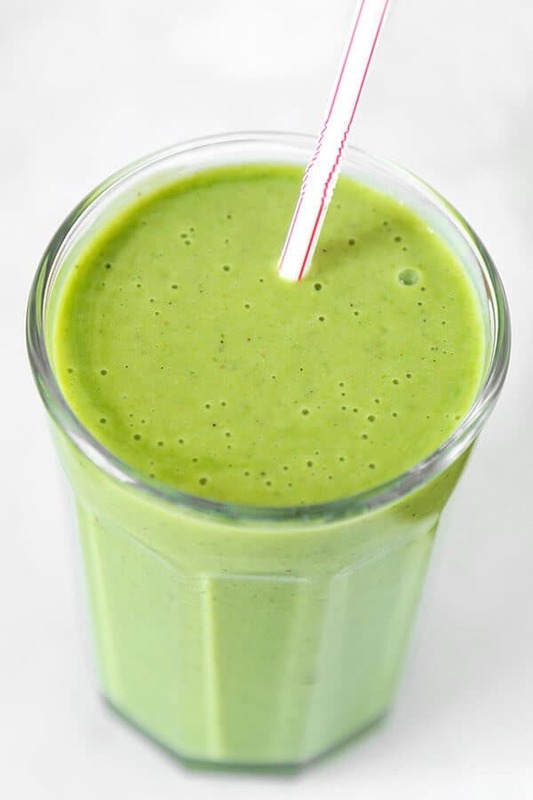 This smoothie is a mix of tofu, spinach, mango, kiwi, banana, turmeric and almond milk. 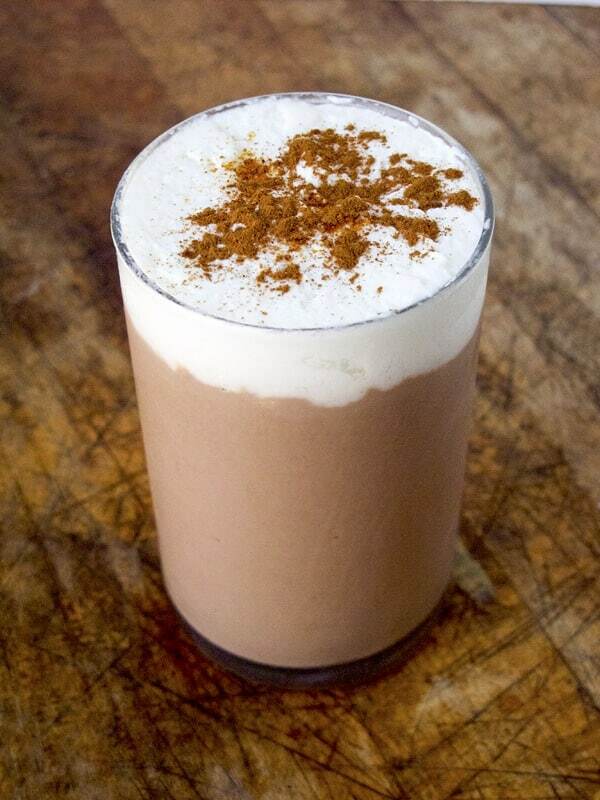 It’s an invigorating drink that makes the skin glow. A must for winter time! 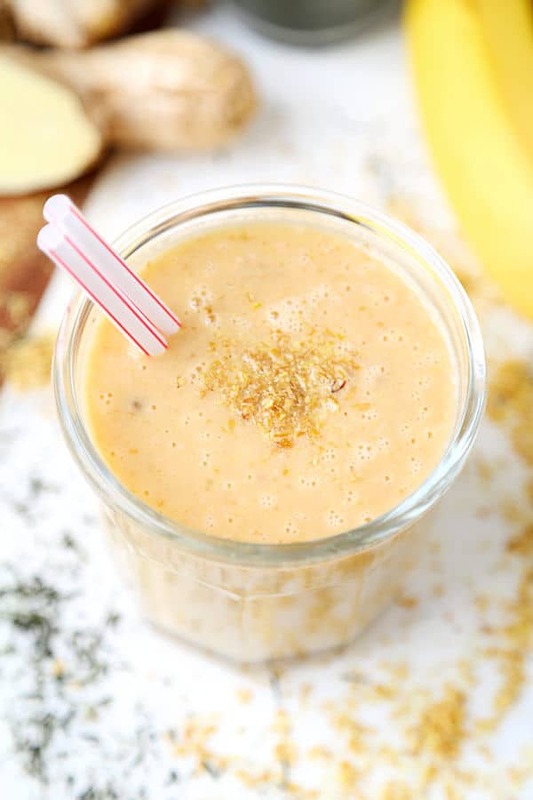 I love adding tofu to my smoothies because it adds a creaminess that makes me think I’m drinking something decadent when in fact it’s super healthy. The combination of green tea, fresh lemon juice, ginger and a few apple slices makes this smoothie the ultimate detox drink. Looking to serve something healthy your kids won’t mind eating? Making a quick chocolate tofu mousse may just be what you’re looking for! The chocolate flavor really comes through without being cloyingly sweet and topping the tofu mousse with a dollop of freshly whipped cream adds a little naughtiness to this healthy dessert. A sprinkle of cayenne pepper and cinnamon seasons the dish with a little spice and heat. One of my favorite go-to dinners. I love mapo tofu but most preparations use a lot of oil and can make my tummy hurt with too many chiles. Not this one! This mapo tofu recipe only uses two tablespoons of oil, a little tobanjan paste and one jalapeno pepper (which are less spicy than Thai chiles). To keep it low fat, I am also substituting beef or pork for ground chicken. The result is a tofu dish that’s much lighter but still very tasty! 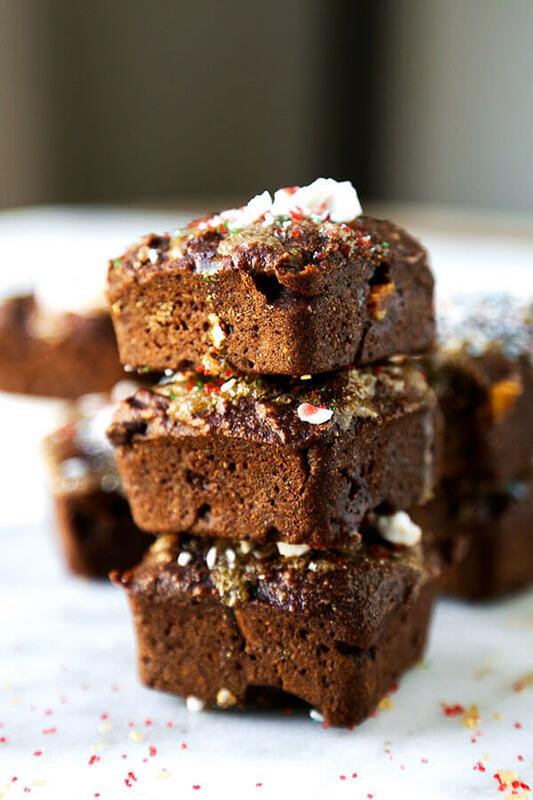 This is a delicious vegan brownie recipe you will love! The brownies are moist, rich and as chocolately as regular brownies. I make these all the time because they are healthier and lower in fat and calories than regular brownies. This tofu dish is the perfect appetizer to make if you are looking to wow your guests. Silken tofu pieces served with freshly grated daikon and ginger and sliced sweet Anaheim peppers. The dish is finished with an earthy shiitake mushroom gravy and topped with chopped cilantro. Sounds complicated? It isn’t – the whole thing takes less than 2o minute to make! Cleansing. That’s the word I think about when I eat this tofu and seaweed salad. 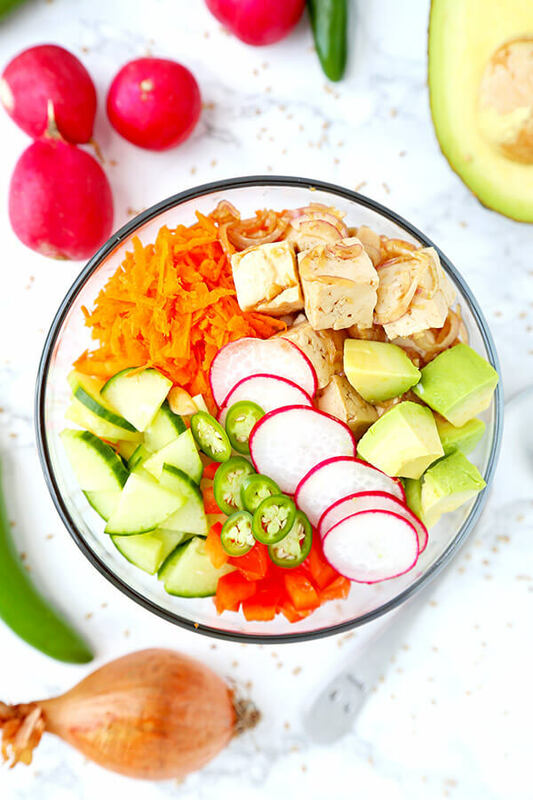 I feel like I am doing my body a huge favor whenever I make this salad because it’s jam packed with healthy ingredients and is so low in calories and fat! Just a bunch of fresh and nutritious ingredients paired with a tangy and nutty oil-free dressing. Love it! I’ve adapted this recipe from Momofuku’s tofu and tomato salad because I love it so much. 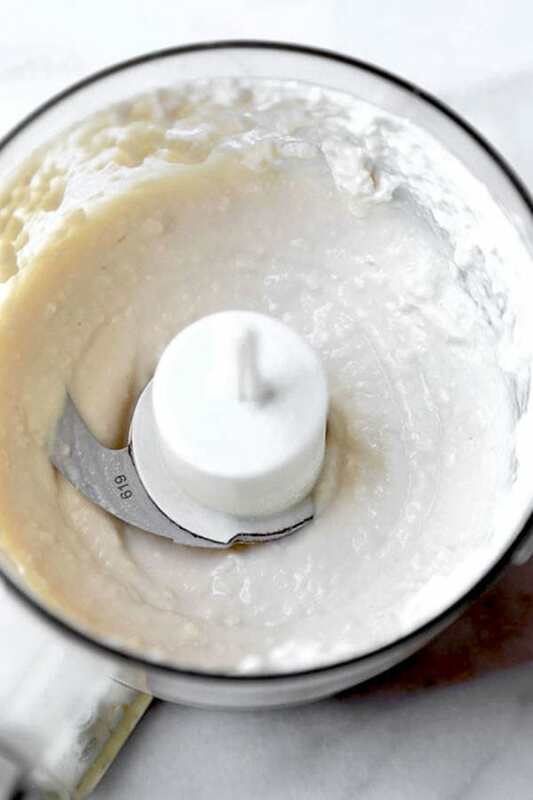 It’s simple, takes 10 minutes to make from start to finish and tastes so refreshing! The tofu and tomatoes are dressed in sesame oil, vinegar and soy sauce and topped with fresh mint leaves. It’s delightful! Not only is this my favorite tofu preparation, it’s also one of my favorite dishes of all time! A classic Japanese izakaya appetizer, agedashi tofu (or dofu) are tofu cubes dusted with potato starch and deep fried until crispy. The cubes are added to a warm broth made with dashi, soy sauce and mirin and topped with katsuobushi (bonito flakes), grated daikon and chopped scallions. I could eat this every day. The simplest, easiest and most classic of all tofu recipes. Hiya literally means cold and yakko were Japanese servants of samurai back in the Edo period. The servants wore vests with badges of a nail puller, an ancient carpenter’s tool that was used to pull nails, attached on their shoulders. 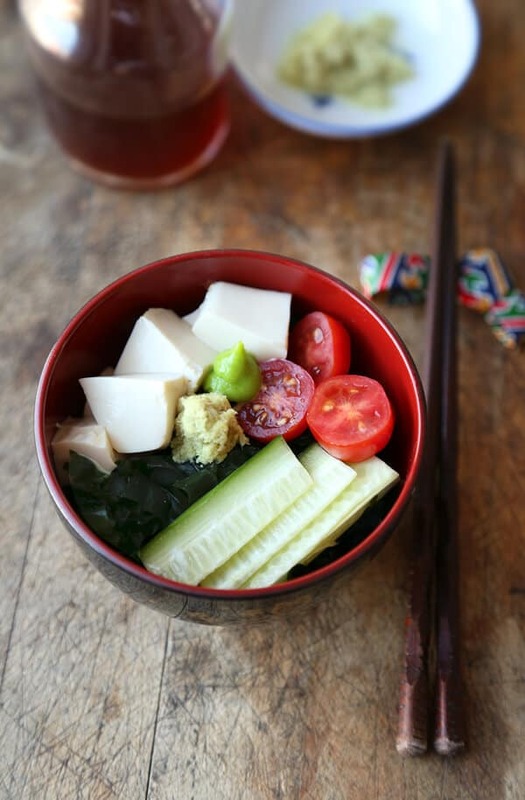 That’s where the term hiyayakko comes from – cut cold tofu. Hiyayakko is a tofu salad that only requires five ingredients: silken tofu, scallions, bonito flakes, fresh ginger and soy sauce. It’s refreshing and perfect for hot summer days! Chicken soup on the super healthy side! 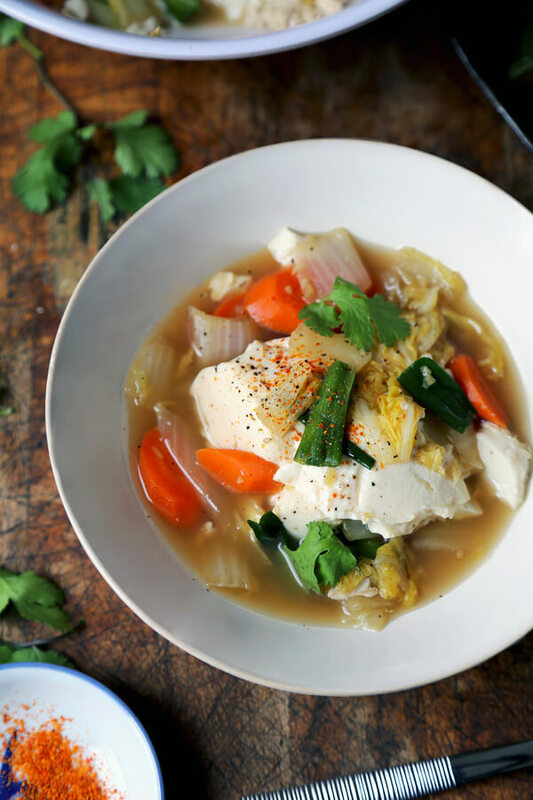 This is a delicate and light chicken flavored soup with veggies and hand broken pieces of silken tofu. It makes a perfect late night snack or something to serve to someone who might feel a little under the weather. I use this recipe whenever I feel like I need to lose a couple of pounds quickly. This yummy side dish tastes like a good Chinese stir fry with a twist! The addition of Korean pepper flakes and sesame oil is what turns this simple oyster sauce into something much more complex. Creamy tofu and tender broccoli florets with a nutty, spicy and savory sauce drizzled on top makes a great substitute for salads on those night when you want something a little more filling. The perfect meal to have when it’s cold outside! Yosenabe is a dish that’s very popular in the wintertime in Japan. 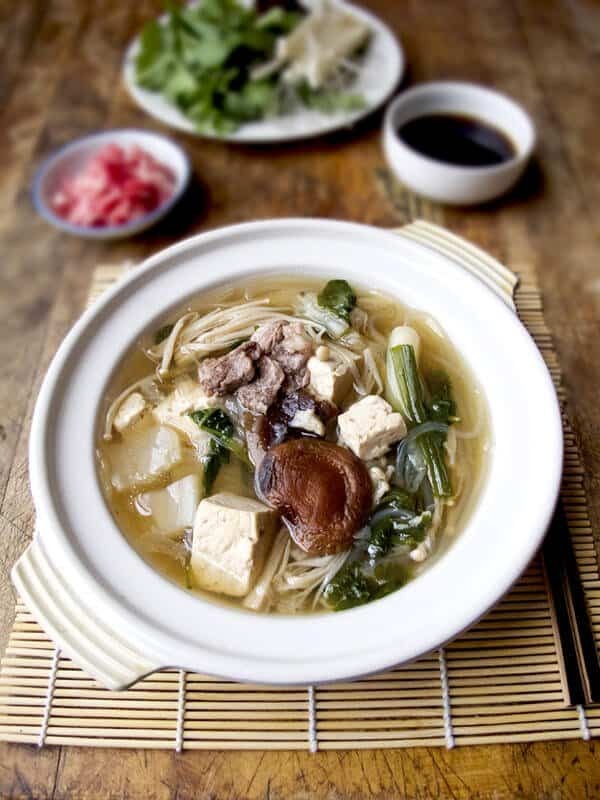 A variety of ingredients such as mixed vegetables, meats, seafood, clear noodles and tofu are put on a tray and placed next to a hot pot filled with a light soy sauce, dashi or kombu based broth. The diners then pick and cook their favorite food in the broth and eat them on their own or with a dipping sauce. It’s a lot of fun and to me remains one of the best comfort foods ever. Lucky for me it’s so healthy! With a firmer consistency, medium and firm tofu can be used in stir fries and salads. They make a fantastic substitute to meat and can take on the flavor of your favorite marinade. I have to say this because it’s true – this mu shu recipe is better than any takeout mu shu I’ve ever had! The flavors are punchy but not too sweet so you get plenty of umami and savory notes too. Plus, it’s a light dinner packed with veggies and kid friendly. Perfect for those looking to lose a few pounds and keep their family happy at the same time. One of my favorites tofu recipes! I think by now you can how versatile tofu can be! It’s a meatless protein that takes on pretty mush any flavor you like. 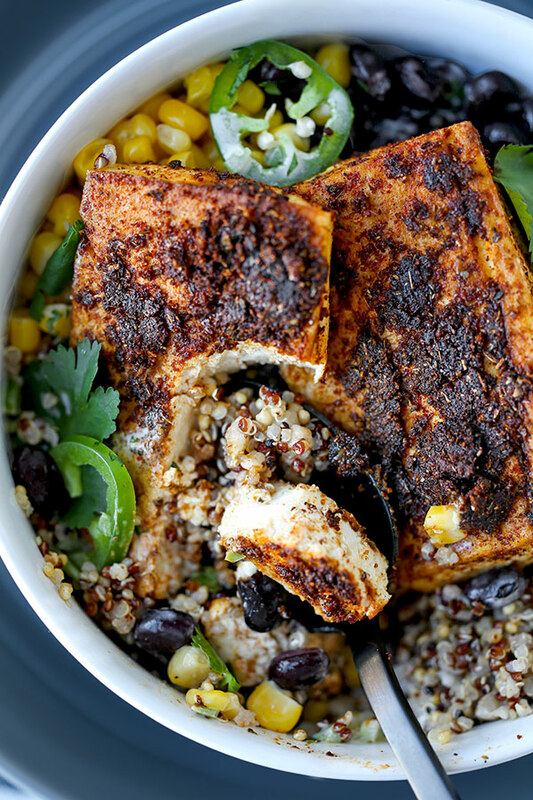 Take this Southwestern style baked tofu – it’s spiced with cumin, chili powder, paprika, garlic powder, coriander powder and oregano and serve with jalapeño peppers, corn and a creamy lime dressing. We took an Asian ingredient and made it very VERY American! Spicy and sweet tofu bites with a lightly fried exterior? Yes please! 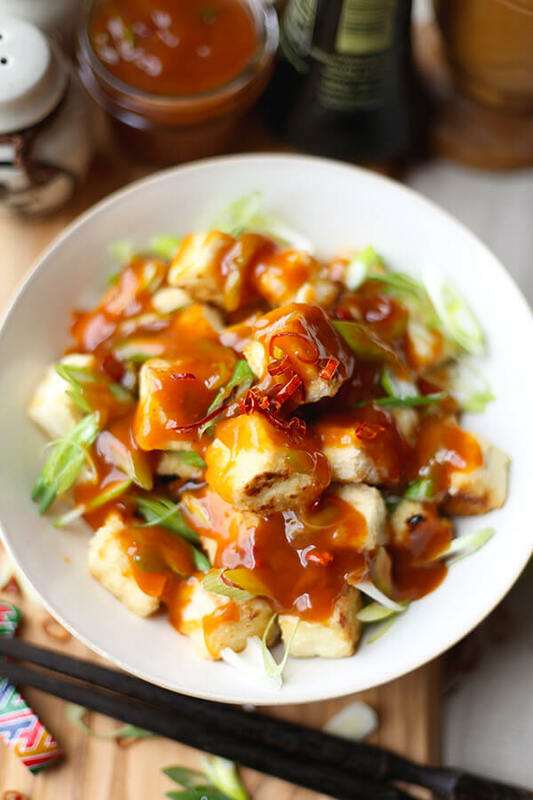 If you want to introduce your family to tofu but are afraid of their reaction, try this honey sriracha tofu. The flavors are that of classic Chinese take out and each bite is a little crispy on the outside and silky soft on the inside. 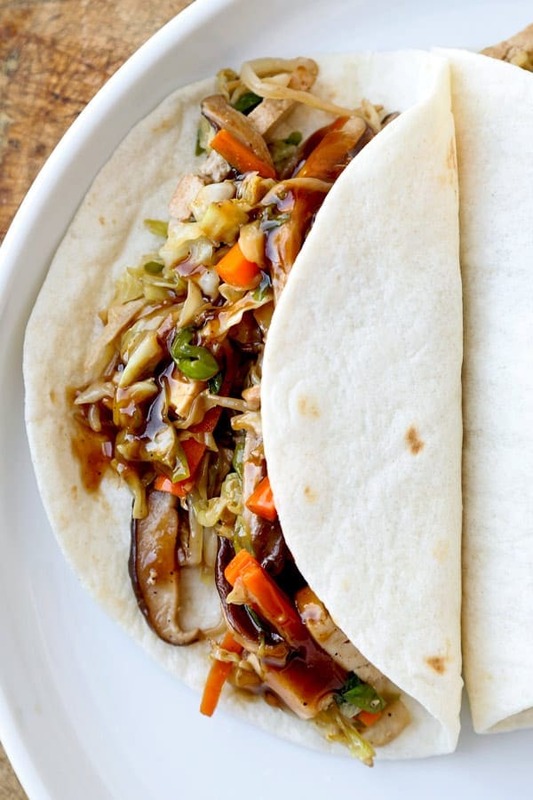 Think of them as bean curd pillows wrapped in a lot of goodness. So much goodness, no one will care they are eating tofu! Crispy tofu is so yummy. These tofu cubes are heavily dusted with corn starch which means more crispy exterior to munch on. The classic sweet and tangy General Tso sauce complements the dish and makes it a winner for family dinners. 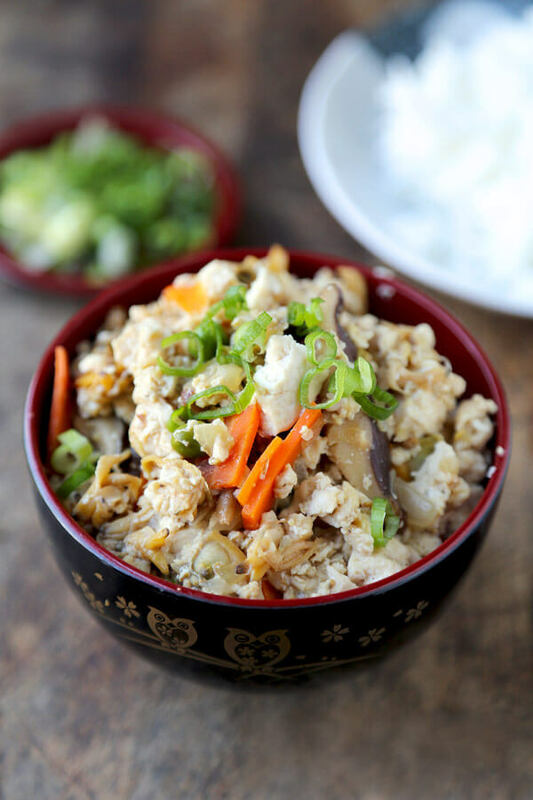 Dengaku is a classic Japanese preparation I love using not only on tofu but eggplant as well (see my eggplant dengaku recipe). 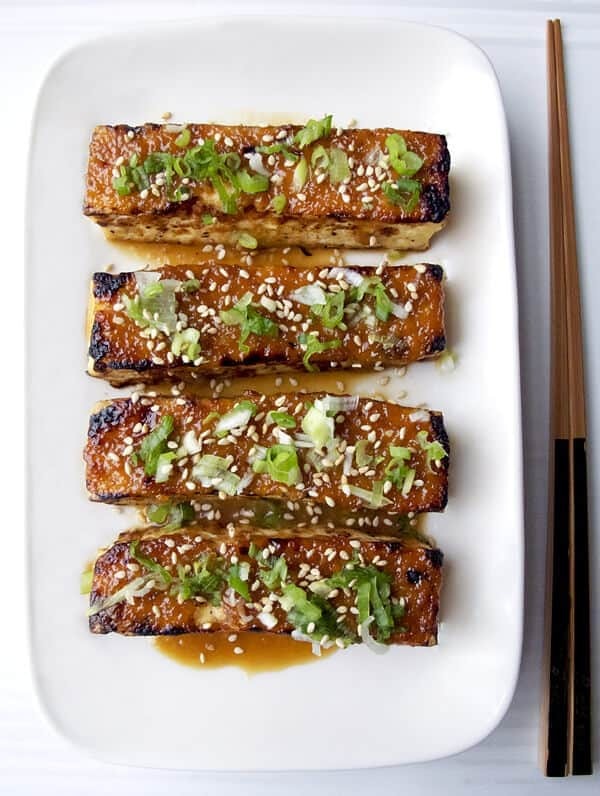 It’s a simple glaze made of miso paste, mirin, sugar and sake that is brushed on tofu blocks and broiled until caramelized. It’s delicious and looks so pretty! I like adding sesame seeds and fresh chopped scallions to add a little crunch. A simple Cantonese dish that pack on the flavor! 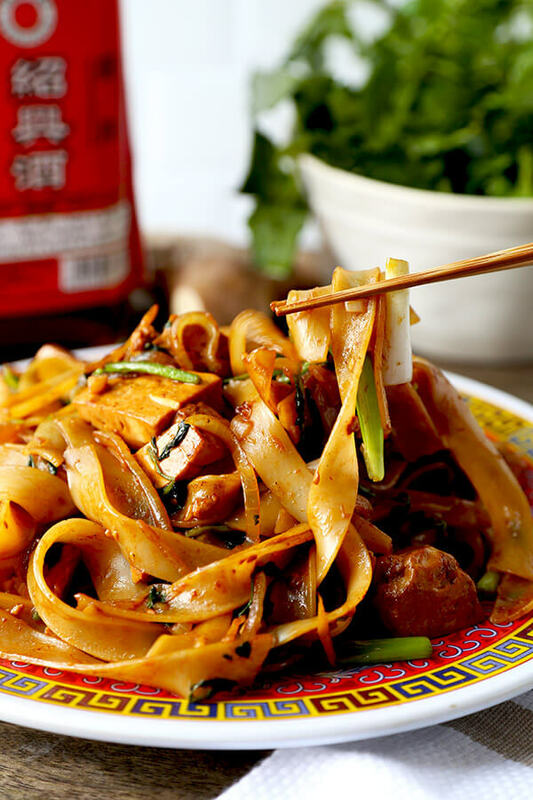 The tofu is marinated in a mix of soy sauce, chinkiang vinegar and shaoxing wine and stir fried with wide rice noodles, scallions and ginger. It’s one of those better than takeout dish you get to make from the comfort of your own kitchen! 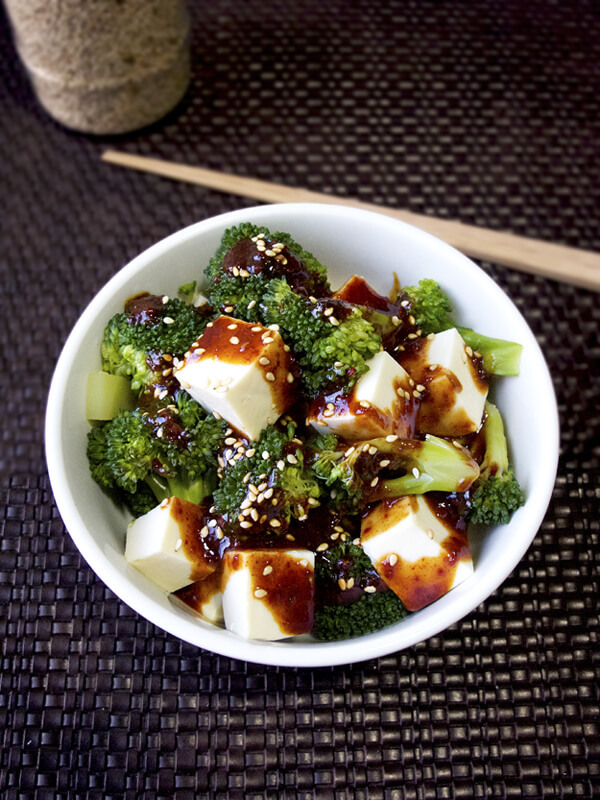 This amazing tofu recipe hits the spot if you are craving sweet and gooey American Chinese food. Plus, it only take 20 minutes to make! Bright and healthy! I could have this every day for lunch I kid you not. Marinated tofu pieces over a bed of rice and fresh vegetables, topped with a sweet and savory soy based sauce. SO. SO. GOOD. The tangy and sweet marinade turns these little tofu cubes into perfect salad toppings. Only 10 ingredients needed and less than 5 minutes of prep! Shirataki noodles are noodles made with tofu and konnyaku, which is a type of Asian yam. They are very low in calories which makes them a great noodle substitute for those looking to lose a few pounds. I went fully Western for this dish using classic tuna casserole flavors, with a creamy texture. Who knew tofu and clams paired so well! This tofu dish is a little briny, sweet, savory and a lot of fun to eat! Medium firm tofu makes a great substitute for eggs because it has a very similar texture and takes on any flavor you add to it. Serve this tofu and clam scramble on lettuce leaves or with rice. Japanese tofu patties are my favorite! 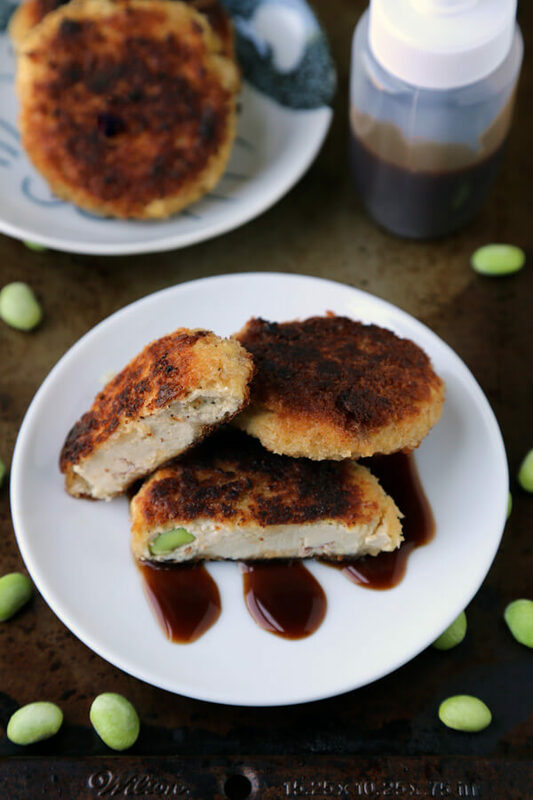 The tofu is mashed and mixed with edamame peas, ham and cheese and shaped into patties. The patties are covered with panko breadcrumbs and lightly fried until crispy – yum! They are good on their own but even better with a squeeze of tonkatsu sauce. Perfect for kids! Who knew fried bean curd could taste this good! 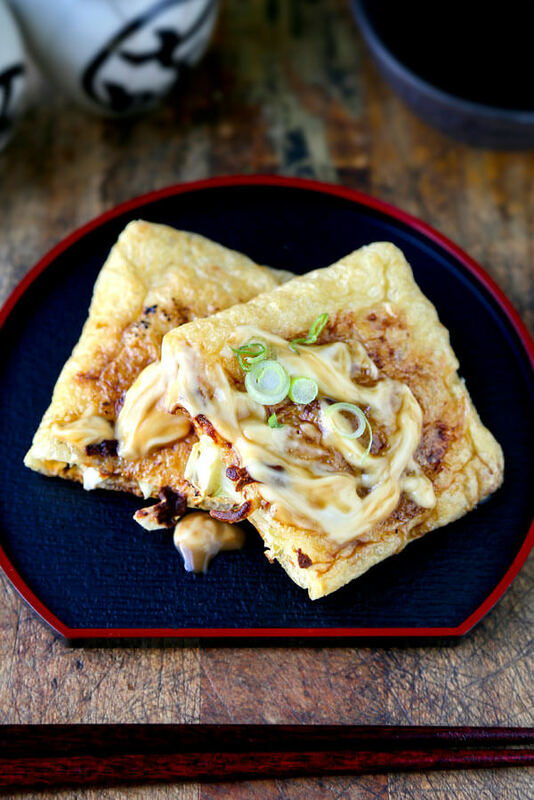 Another kid friendly tofu dish, these ham and cheese fried tofu pockets can get pretty addictive. I’m using abura-age which are tofu slices that have been double deep fried. You can use abura-age in miso soups, noodle soups such as udon (kitsune udon) or to make inari-zushi (sweet sushi rice stuffed pockets). The recipe couldn’t be simpler; the fried pockets are stuffed with a little cabbage, ham and cheese and pan fried on each side (no oil is needed) until crispy. They are served with mayo and soy sauce – fabulous! I start to drool every time I hear the word curry. I don’t think I could ever get tired of eating curry; fragrant, spicy, sweet, savory… And what makes curry so great is that it can pack plenty of flavor without having any meat in it! 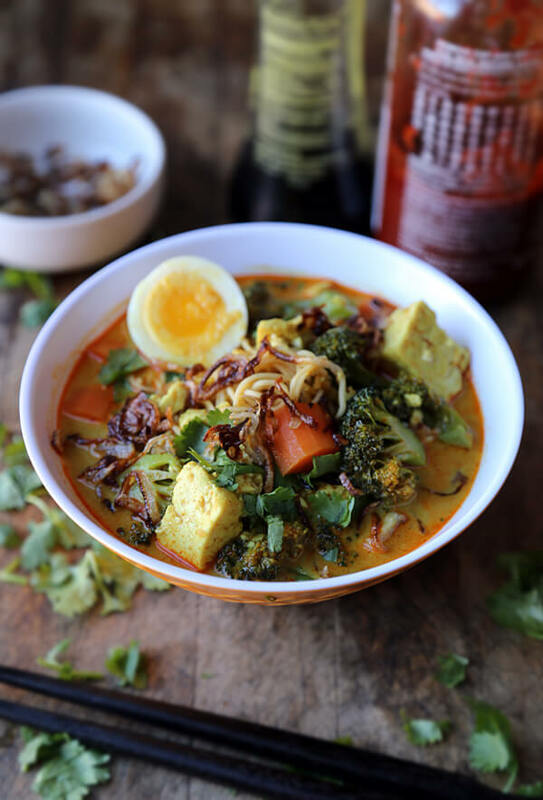 This is a simple but tasty bowl of vegetable curry noodles made of red curry paste, fish sauce and coconut milk with tofu, broccoli, carrots, noodles and a boiled egg. It’s filling and only takes 20 minutes to make. 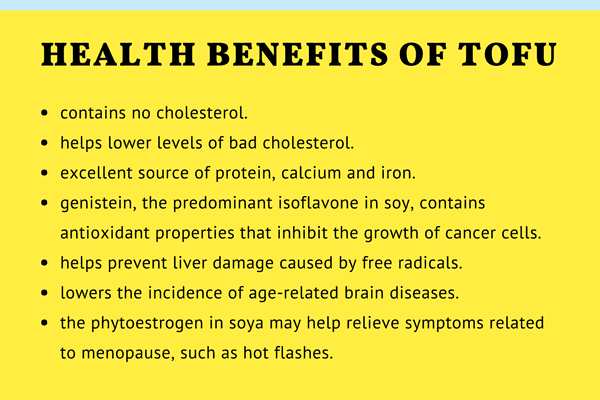 Want more information about tofu? Check out this Slideshare clip I made. Rice and tofu are like best friends! Watch our video on How To Make Japanese Rice the stove top or rice cooker method! Tofu is one of my favorite foods. Most of the time, I do like it fried then dipped into a soy-vinegar sauce, just as simple as that. This recipe can be eaten with or without rice. Anyway, I would like to try more of your shared recipes! Hi Leona, you can buy non GMO tofu easily these days, at your local grocery store or health food store. Look for Japanese brands (avoid Chinese) such as House Foods and Nasoya. my favorite agedashi tofu. I can eat it everyday! !